Zombie Awareness Month isn't just about zombies. It wouldn't be complete with a bit of survival skills. 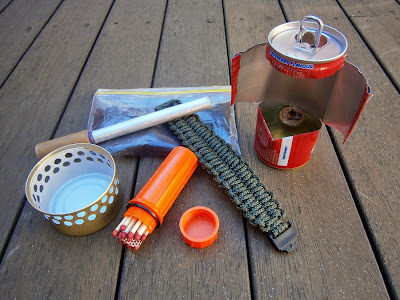 So having read a few survival guides lately it was time to do some practicing. All the guides say shelter is the first priority. 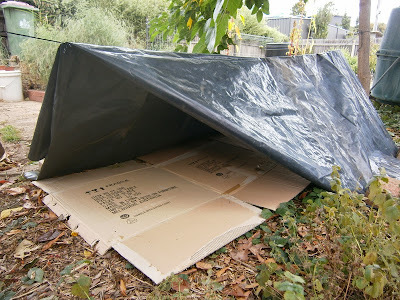 Who needs a fancy tent when you have scrap plastic and cardboard. 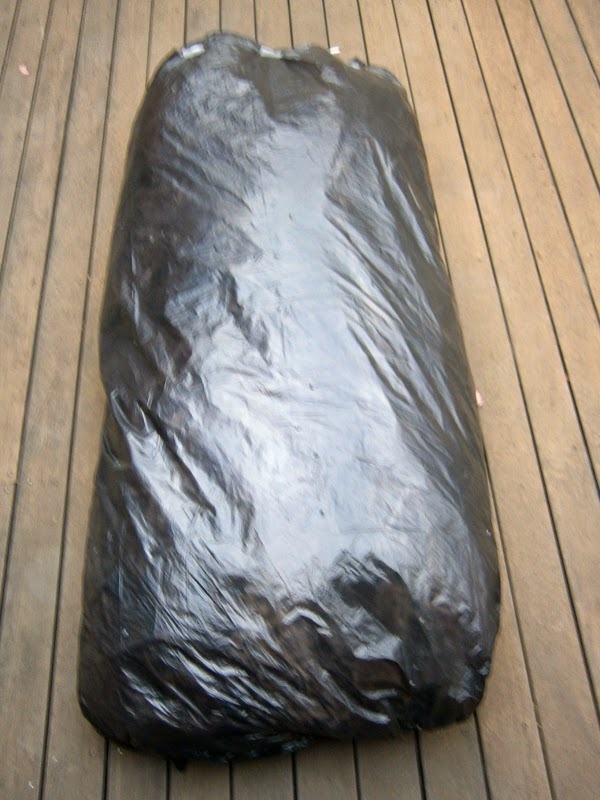 But you still need a comfortable warm bed so what better than a DIY sleeping bag made from two garbage bags! Place one bag inside the other and stuff the space between the two bags with shredded newspaper. I just walked around the block and picked up all those local community newspapers no one reads. Presto, one emergency sleeping bag. Oh, poke lots of small holes through both bags to let condensation out while you sleep. I used wheelie bin bags which are big, but not big enough. The bags only came up to my chest but with a good jacket I wasn't cold. It got down to 10 degrees Celsius overnight but I was toasty warm and slightly damp. What better way to start the day with hot coffee and breakfast while lying back in your shredded newspaper bed. 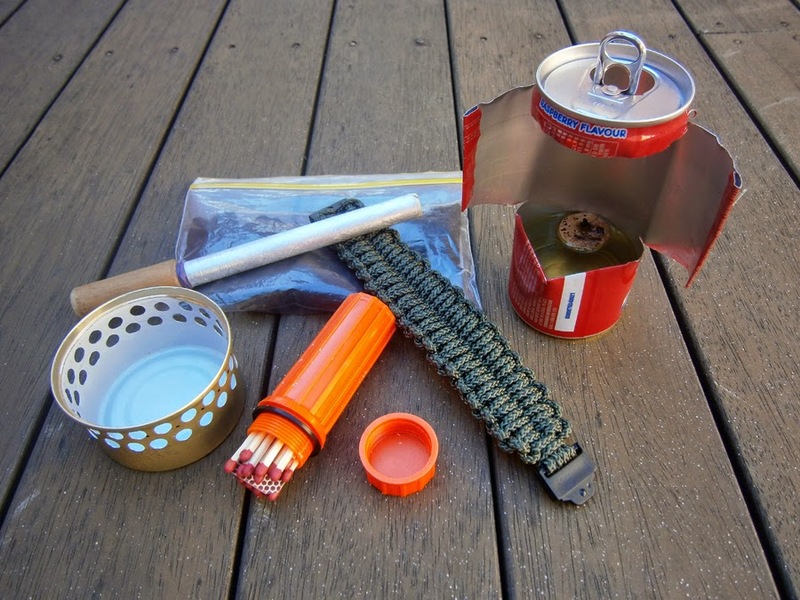 Those alcohol stoves made from cat food cans sure crank out some heat. This is surviving in style. So will have to hunt for food in other ways. Never been good with traps and snares but this trigger mechanism is very simple. 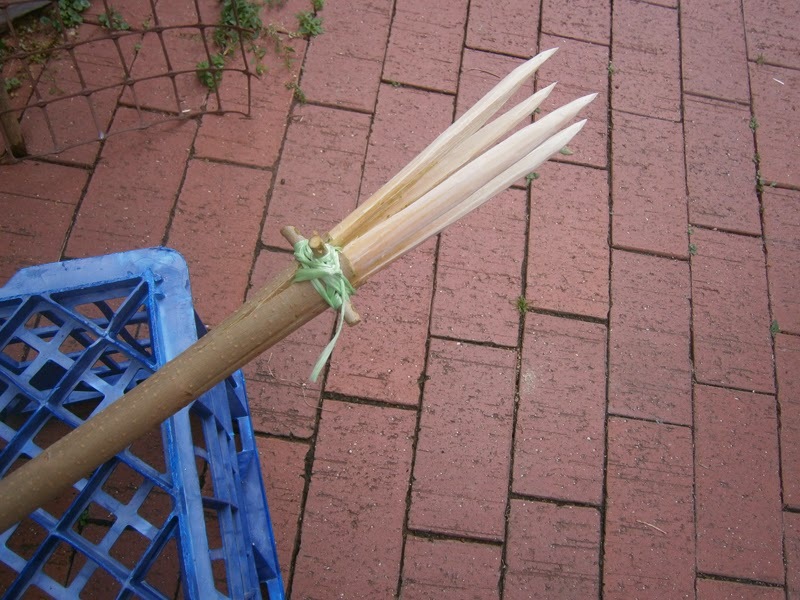 Just a stick, some dental floss and a minute's work with a knife. And it works. Within an hour I had a bird but seeing it was a native I let it go. 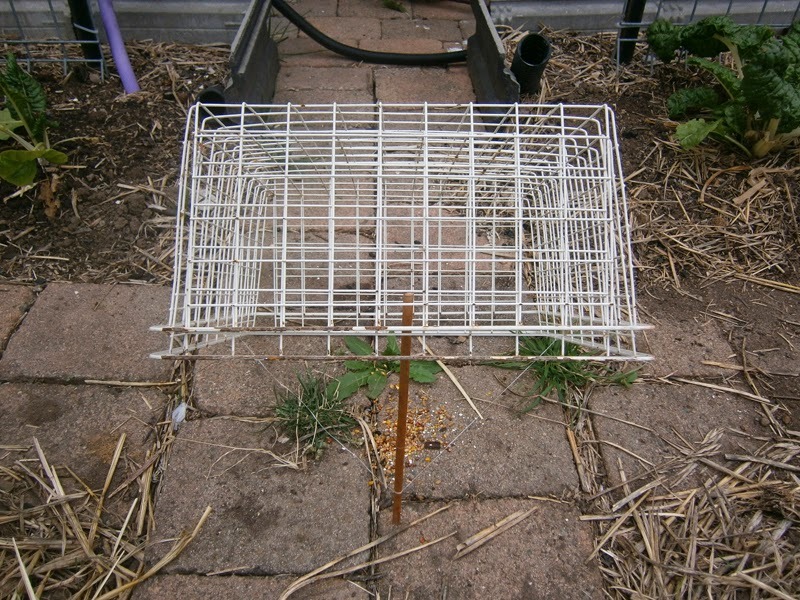 I gather trapping is legal as long as I do it on my property and do not use the steel jaw beartrap I have in the shed. My first gig, just like in the survival books. Watch out small mammals. 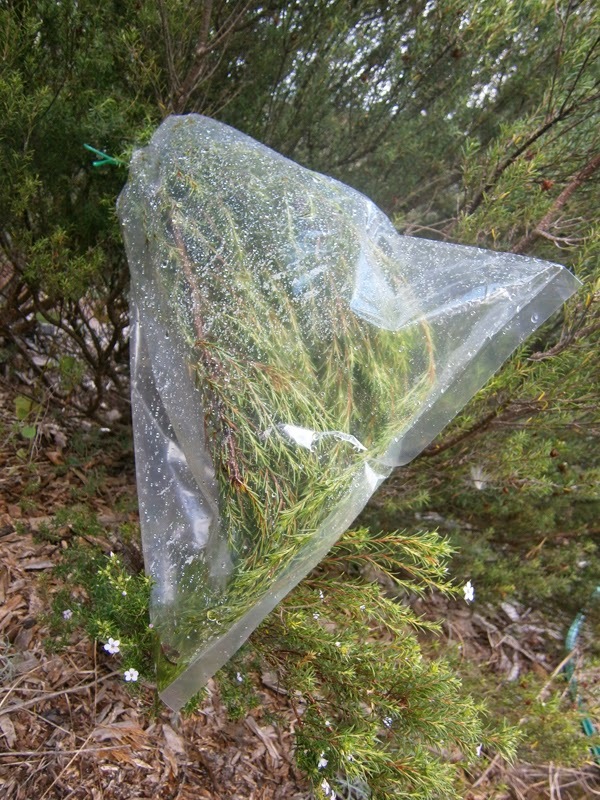 They say transpiration bags are more effective than solar stills for collecting water. After two days I got a quarter of a cup of water and some floaties. 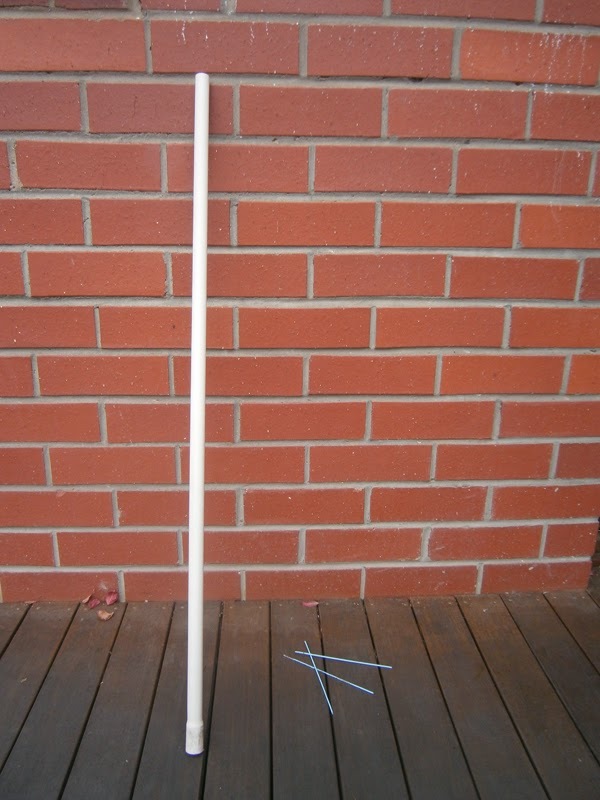 Mind you it was a small bag and small branch. Also time to do some arts and crafts. 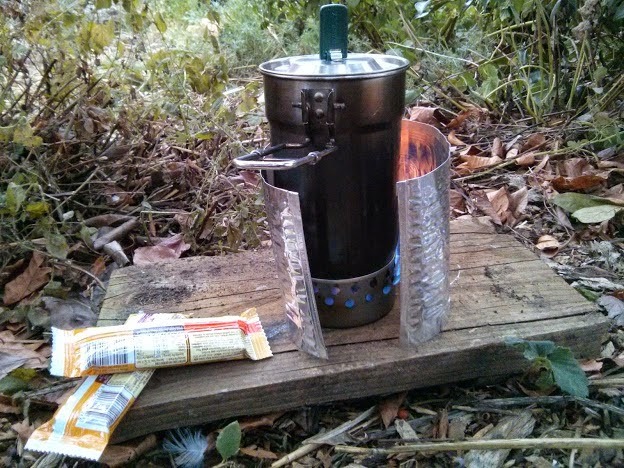 Ultralight cat food stoves, waxed matches, emergency oil lamps, home made fire piston, that sort of thing. There is also the cord bracelet using the quick release Blaze Bar weave and 7 meters of Mil spec Hootchie cord. Wow, I sound just like a prepper.